Buckingham, Royce. The Dead Boys. What happens when corporations dump toxic waste into waterways for many years? The trees become evil mutants with a taste for humans, especially young boys they can lure into their branches, keep hostage, and drain of their life force for years. That's what Teddy finds when he moves with his mother to the desert community of Richland. Encouraged by his mother, he runs around the neighborhood unsupervised and meets a some of friends-- Walter, Joey, Albert, Sloot, Oliver and Lawrence-- all of whom exist in worlds slightly different from Teddy's. The reason? They all died in a variety of accidents and were taken by the tree. In order to dave himself and put an end to the deaths, Teddy has to help each boy recreate his own demise but save him. Strengths: Creepy, creepy tale! It was obvious to me that the boys were from different time periods-- Buckingham does a great job on describing their language, interests and dress. This is definitely a fresh tale, and not too heavy on the environmental message, even though it is there. Weaknesses: A little hard to describe to students, but that should be offset by the great cover. CATEGORIES: Art, Poetry, General Fiction, Commercial Fiction, Children, Young Adult, Culture, Memoir, Business, Reference, Home, Health, Self-Help/Spiritual, Legacy Fiction, and Legacy Nonfiction. FOR EACH ENTRY, submit the book, entry form, and $45 fee (check, money order, or Internet payment receipt) to Hopewell Publications, LLC, PO Box 11, Titusville, NJ 08560. Be certain to specify award category and press type. Registration will be confirmed via e-mail. In May, all entrants will be notified of winners. Submissions must be postmarked by January 21, 2011. We want to help you. The Eric Hoffer Book Award is primarily run by volunteers to help readers, writers, and independent publishers. We thought you would be interested in this unique opportunity to promote your book(s). Your e-mail is never sold or transferred. Only three notices are sent annually. If you no longer want this annual notification, please use the easy unsubscribe link below or reply to this email. Be certain to use the e-mail address to which this message was sent; otherwise we cannot remove you from our list. Thank you!!!! DENVER - Almost 50 years later, President John F. Kennedy's assassination remains as mysterious and controversial as the day it happened. Although we've heard the story plenty of times, a new book tells it from a fresh point of view. The Kennedy Detail: JFK's Secret Service Agents Break Their Silence gathers together the memories of secret service agents who were at the president's side during his final hours. Two of those secret servicemen, Gerry Blaine and Clint Hill, sat down with 9NEWS at 8 a.m. to talk about the book. "This is not based on theory. It's based on fact by the agents who participated, who were assigned to the president and from their viewpoint, their records, the reports and investigations," said Blaine, who co-wrote the book and currently lives in Denver. Hill, who wrote the forward to Kennedy Detail, was assigned to protect Mrs. Kennedy that historic day in Texas, and he was the closest secret service agent to the Kennedys' car when the president was shot. "I heard this explosive noise from the right rear. I scanned to my right to get to that noise. When I did that I had to look across the president's car and I saw him grabbing his throat," Hill said. "I knew something was wrong. He was in trouble so I jumped and ran to the President's car trying to get there so I could get on top between him and Mrs. Kennedy and the shooter, whoever it may have been." By the time Hill was able to get onto the car, the president had already been shot at three times. "There was a third shot that hit him in the head just above the right ear to the rear. [It] opened up enough of a wound so that the material spewed out over myself and the back of the car," Hill said. Hill said at that point Mrs. Kennedy came out of the back of the car to try to retrieve some material that came off of president's head. "She didn't even know I was there. I got off of the car, I pushed her back into the seat. He fell over to his left into her lap," Hill said. At that point, Hill could see the damage was fatal. "His right side of his head was up and exposed. I could see the hole in his head was about the size of my palm; almost all the brain material in that area was gone. It was all over the back of the car: blood, bone fragments," Hill said. "His eyes were fixed." Despite all the conspiracy theories out there about the Kennedy assassination, both Blaine and Hill said they believed Lee Harvey Oswald acted alone. "No doubt in my mind," Blaine said. Hill says he feels a lot of guilt for the president's assassination. "I was the only agent who had the chance to do something more because of the position I was in," Hill said. "I feel a great sense of responsibility for not being able to do more." 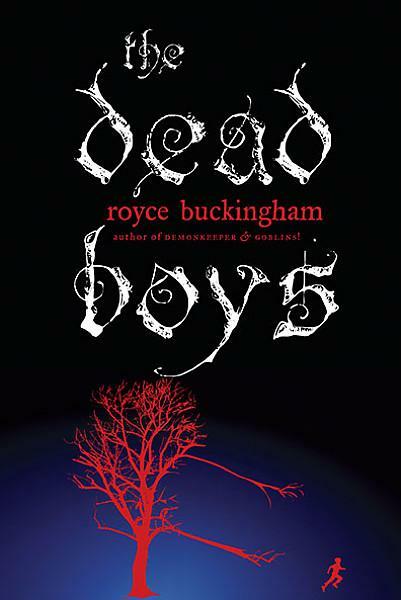 Bookedup.posterous.com Reviews AEI Client Royce Buckingham's Dead Boys! A tree down river from a nuclear power plant feeds off the lives of little boys it captures. This is not a book I would have been able to read as a child, let alone curl up with it right before bed. I read it in about two hours straight. I kept telling myself, well, I'll just take a break to finish my holiday cards after this chapter. Four chapters later, I was like, well, I can take a break to start wrapping Christmas gifts. Once I hit the middle of the book, I realized all resistance was futile and climbed into bed to see it through to the end. I like the pacing of this story - the action never stops. There was no point that I felt dragged on to long and even the ending, which was different that what I expected, felt good and right despite it's strangeness. I like that Teddy's actions (and reactions) are realistic, as is his relationship with his absentee-for-a-good-reason mother. For all the creativity of the story, and it's unusual serial killer, aside, it's the fact that Buckingham chose to set the story in his hometown that really caught my attention. The comfort his characters display in the different scenes is the sort of writing that only a local can produce. And it is with deep, deep sadness but no hesitation that I remove Nanny Piggins -- my previous against the grain of my usual taste choice -- from my short list to replace it with this. Sidebar: the page forward button on the right-hand side of my Nook, my preferred reading button, cracked last week. At first, I thought it was my own fault for casually tossing it (covered) into my overnight bag, but when I looked it up online it turned out to be a very common issue. I contacted Barnes & Noble and had a certified pre-owned Nook replacement within less than a week. I know it sounds silly, but I swear it feels more subsistancial, lighter and better constructed than my original. I hope that it's not just the trees talking to me. A force to be reckoned with, best-selling author Jin Kyu (Suh) Robertson shares her tremendous story of how she went from being a factory worker to a housemaid to U.S. Army major to a Harvard Ph.D. Due Out Soon! Major Dream From Immigrant Housemaid to Harvard Ph.D.
Today's holiday gift recommendation comes from C.J. West and his beautiful Wheaten Terrier, Bella. Besides being the author of The End of Marking Time, C.J. 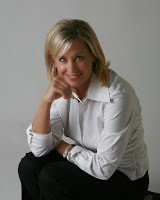 hosts a blog talk radio show where you'll find interviews with a number of the authors featured on Jen's Book Thoughts. And C.J. is recommending one of those authors for your holiday list today: Dennis Palumbo and his new Daniel Rinaldi mystery, MIRROR IMAGE. 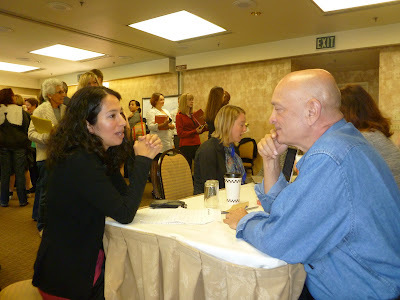 "I was intrigued by Dennis Palumbo at Bouchercon By the Bay. He's a psychologist for writers with some fascinating advice and insight into what our creative struggles mean for us and for our work. His latest mystery, Mirror Image, had me so captivated by page four that I knew I needed to have him on my show." I'm glad to have C.J. 's recommendation as Dennis Palumbo is a new author to me. At least sort of. I enjoyed a television show Dennis use to write for - "Welcome Back Kotter." Ew! Ew! Ew! So, I guess it is my turn to recommend again. Never fear, though, I WON'T run out of recommendations. Today I'm going to dig back a little bit and recommend one of my favorite forensic science mystery writers. Thomas Holland published two books with his protagonist Kel McKelvy. Personally, I'm heartbroken that there haven't been anymore books in this series to date. The first book is called ONE DROP OF BLOOD and it was followed up by KIA. Both deal with forensic science in the military. They are powerful books with a perfect balance of humor. Neither is a story you will easily forget. Even though there hasn't been another book published since KIA in 2008, it's still one of my most recommended series. For your CSI/BONES/NCIS fans, this is a GREAT series. LOS ANGELES (Nov. 30, 2010) – Celebrating 50 years of creating award-winning, illuminating and affirming television and film production, Paulist Productions has collaborated with Hallmark Hall of Fame to produce The Lost Valentine, starring former Ghost Whisperer Jennifer Love Hewitt and former Golden Girl and media superstar Betty White. Scheduled to air on CBS January 30, 2011 at 9/8c, this is the first joint production between Paulist Productions and Hallmark Hall of Fame. Based on the novel by James Michael Pratt, The Lost Valentine is a story of faith, hope, courage and most of all, never-ending love. Dramatizing those ideals in a multi-generational narrative that travels from the Philippine jungles of World War II to the urban landscape of a present day American city, The Lost Valentine makes Paulist Productions’ mission to provide affirmative television and film productions accessible to a diverse and modern audience. Barbara M. Gangi, Vice President of production and development for Paulist Productions and Producer of The Lost Valentine, brought the project to Hallmark Hall of Fame. “I thought, ‘Valentine…love story…Naval hero. Hallmark would be the perfect home.’ My instincts were right. They loved the story! After years of pre-production and development, there is much excitement at Paulist Productions as this film comes to fruition,” she said. Brent Shields (When Love Is Not Enough: The Lois Wilson Story, The Courageous Heart of Irena Sendler) and Jennifer Love Hewitt serve as Executive Producers of The Lost Valentine;A Dog Named Christmas, Front of the Class) also produces along with Andrew Gottlieb (co- producers Ken Atchity, Chi-Li Wong and Maryann Ridini Spencer. Darnell Martin (Law & Order: Criminal Intent, Cadillac Records, Their Eyes Were Watching God) directs from a teleplay by Maryann Ridini Spencer and Barton Taney. Founded in 1960 by the late Fr. Ellwood “Bud” Kieser, Paulist Productions and its "sister" company, Paulist Pictures, create films and television programs that entertain and enlighten. Spiritual values are at the heart of each production. Throughout its history, Paulist Productions has won numerous awards including six Emmys, the Christopher Award, five Gabriel Awards and the Toronto International Film Festival Award. Fr. Bud Kieser also founded the highly respected Humanitas Prize, which celebrates television and screen writers who affirm the dignity of the human person and experience through entertainment writing. Endowed by the entertainment industry, it gives cash awards each year to the writers of television programs and feature films that do the most to enrich their audiences. For more information about Paulist Productions: www.PaulistProductions.org. For more than four decades, the forces of orthodoxy, from the 1964 Warren commission to Vincent Bugliosi’s 1,648-page Reclaiming History (2007), have insisted that Lee Harvey Oswald, acting alone, assassinated U.S. president John F. Kennedy. But Amazon now lists more than 1,200 titles on the events of Nov. 22, 1963, and the books keep on coming at such a rate that their number will one day (soon) exceed Bugliosi’s page count. The vast majority oppose the official version. In that regard, their authors are solidly in tune with U.S. popular opinion. Forty years of polling have consistently shown that more than two-thirds of Americans simply don’t believe the Warren report. That alone is enough to make The Kennedy Detail by Gerald Blaine, one of the 34 Secret Service agents on White House service during JFK’s administration, a stand-out assassination book: the surviving agents—speaking openly for the first time (and only because it was one of their own who asked)—are unanimous that it was Oswald, and Oswald alone. But there is also a wealth of detail about the most traumatic day of their lives, and Blaine’s convincing argument that a protective system that worked for Kennedy’s predecessor was stretched past the breaking point by Kennedy himself. Among the many legacies of JFK—the man who single-handedly retired hats from formal male attire—was a revolution in presidential security. Dwight Eisenhower, supreme allied commander during the Second World War and president from 1953 to 1961, had lived in a protective bubble almost since Pearl Harbor, so much so that his Secret Service agents spent hours during the lame duck days before JFK’s inauguration teaching Ike how to drive a modern car. Eisenhower didn’t leave the White House often—except to play golf, accompanied by agent/caddies with submachine guns in their club bags—and he rarely drew a crowd or mixed with one. What the Secret Service called its “confidence factor” in protecting him was a sterling 95 per cent. Far worse than the dangers occasioned by the Kiddie Detail were those posed by the president himself. Having fissured the Democrats’ southern bastion with civil rights initiatives and a failed invasion of Cuba, by the fall of 1963 JFK was more reliant than ever on his personal charisma (and his enormously popular wife, Jackie), and he was determined to press the flesh in vote-rich Florida and Texas as often as possible. He never saw a crowd he didn’t plunge into (even after promising his minders that he wouldn’t), and he loved riding in an open-topped car in long motorcades. He had forbidden agents from riding on the back of his limo—a position from which they could, in the event of a missed first shot, throw themselves over the president before a second could be fired. The Secret Service’s confidence factor just before Kennedy’s death, Blaine notes, was a “totally unacceptable” 70 per cent. In Dallas on Nov. 22, the 16 agents in the motorcade followed their training and their instincts—jumping out of their cars to hold people back when crowds slowed the limo, once ﬂattening a teenager who came too close—while helplessly scanning the windows and rooftops that lined the 15-km route. They all knew, Blaine writes, that the worst could happen at any time. And then, five minutes from their destination, it did. In 1963, the Secret Service had 300 agents nationwide and a budget of $4 million; today, its 4,000 agents are equipped with every high-tech security tool that an annual $1.6 billion can buy. There are no more open-topped presidental motorcades—the joint legacy, according to the agents of the Kennedy Detail, of Lee Harvey Oswald and John Fitzgerald Kennedy. 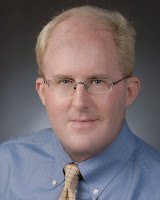 FOR IMMEDIATE RELEASE--Atlanta Dr. Warren Woodruff has inked a multi-level development/production deal for his Baton LLC’s Independent Reader project, Dr. Fuddle and the Golden Baton, with producer/writing coach Ken Atchity (www.storymerchant.com). Woodruff is a long-time music instructor whose passion for classical music led to the conception of the story, which follows the adventures of five young teens aided by the redoubtable Dr. Fuddle (“Think Robin Williams!”) to retrieve the golden baton from the dark side using it for cacophony and chaos, and restore its rightful function of bringing harmony to the world. The franchise will include an interactive website, music, a live action/cgi theatrical feature film, educational TV series, and a line of elementary books, merchandising, in addition to the book itself. Atchity will manage all phases of the project’s development and is already in discussions with a major music supervisor, as well as screenwriters for the development of the script. His movies include “Joe Somebody,” “Life or Something Like It,” “The Kennedy Detail,” “The Lost Valentine,” and Hysteria,” with others in development including “Ripley’s Believe-It-Or-Not!” (starring Jim Carrey). The novel itself may be released as an original ebook, though it is now being tracked by New York publishers. A consortium of Atlanta financers has provided the seed money, and will provide equity financing for the film. The project was brought to Atchity by Atlanta’s Mardeene Mitchell, who has worked with Woodruff on the original development of the project. 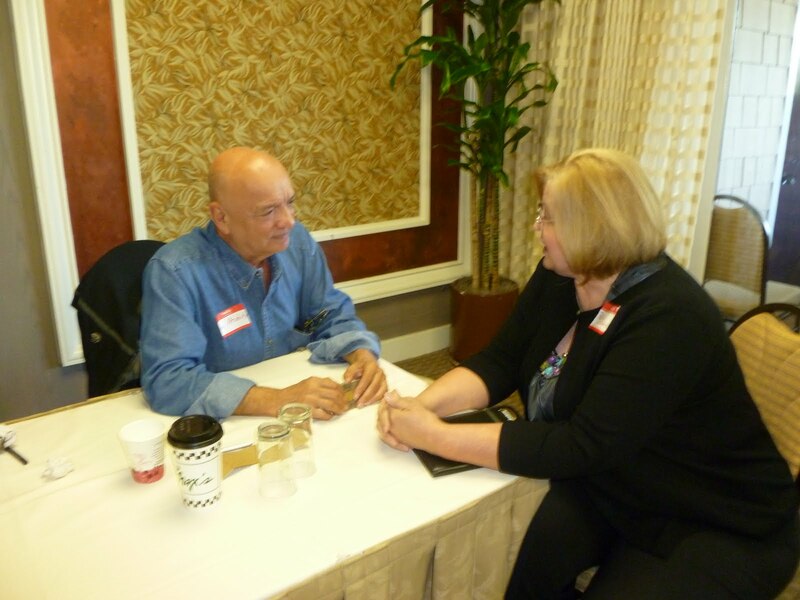 She introduced him to Atchity at her Write the World in Atlanta conference in June of this year. “My goal is to inspire a new generation to the wonders of classical music,” says Woodruff, who received his Ph.D. in Musicology from the University of Miami School of Music; Master's and Bachelor's degrees in Piano Performance. “The story has elements of Willie Wonka,” Atchity said, “as well as Coraline, Harry Potter and C.S. Lewis' Narnia . But its foundation in the myth and history of music makes it truly original.” Inquiries: .DrK@storymerchant.com. Jennifer Love Hewitt and Betty White star in THE LOST VALENTINE, the 241st Hallmark Hall of Fame presentation, to be broadcast Sunday, Jan. 30 (9:00-11:00 PM, ET/PT) on the CBS Television Network. In the drama, a TV reporter's (Hewitt) own love life is impacted by her Valentine's Day-themed assignment to profile a woman (White) whose love for her husband remains as strong as when she last saw him several months before he was declared MIA while serving during WWII. The movie begins during WWII when Caroline (Meghann Fahy), a pregnant young woman, goes to Union Station to see her navy pilot husband, Neil Thomas (Billy Magnussen), off as he departs for active duty. It's Valentine's Day and happens to also be their one-year wedding anniversary. Before their son is born, Neil's plane goes down in the Pacific and he's declared missing in action and never located. But every year on their anniversary-up to present day-a now older Caroline (White), who never remarried, returns to Union Station to salute the memory of her lost husband. Sixty-five years later, Susan (Hewitt), a TV reporter, is assigned to do a human interest story on how Caroline has kept her love alive all these years. Caroline is reluctant to be profiled; however, Susan is persistent and, to the frustration of Caroline's protective grandson, Lucas (Sean Faris), Caroline eventually concedes. When Susan decides to try to help Caroline get some much-needed closure by secretly attempting to discover what happened to Neil 65 years earlier, Lucas eventually starts to see a different and appealing side of Susan. Susan, meanwhile, is torn about her long-time boyfriend's marriage proposal and finds herself wanting to spend more and more time with Lucas. Recently, Jennifer Love Hewitt completed a five-year run in the lead role of Melinda Gordon on CBS's drama series, "Ghost Whisperer." Her additional television credits include the lead role in the cable movie, "The Client List," which she also produced; the title role in the movie, "The Audrey Hepburn Story," and a recurring role as Sarah Reeves on the drama series, "Party of Five." Among her feature film credits are "I Know What You Did Last Summer," "I Still Know What You Did Last Summer," "Heartbreakers," "The Tuxedo," "Garfield," "Garfield 2: A Tale of Two Kitties" and the independent features "If Only," which she produced via her production company, and "The Truth about Love." Her first book, The Day I Shot Cupid, was a New York Times best-seller. Seven-time Emmy Award winner Betty White's acting credits span over 60 years. She is currently starring in the second season of the cable series, "Hot In Cleveland." Last season, she hosted one of the highest-rated "Saturday Night Live" episodes, for which she won an Emmy Award for "Guest Actress in a Comedy Series." Her memorable portrayal of Sue Ann Nivens on CBS's "The Mary Tyler Moore Show" earned her two Emmy Awards and she garnered an additional Emmy win for her popular character, Rose Nylund, on "The Golden Girls." For the title role in her first comedy series, "Life with Elizabeth," which she also produced and wrote, she won another Emmy Award, and she earned a Daytime Emmy Award for "Best Daytime Game Show Host" for "Just Men." White had a regular role on the series, "Mama's Family," and has had recurring roles on series such as "Boston Legal," "That '70s Show" and CBS's daytime drama, "The Bold and the Beautiful." In addition, she guest-starred on "The John Laroquette Show" (which earned her another Emmy Award), "The Middle," "Community," "30 Rock," "Ugly Betty," "Ally McBeal" and "Suddenly Susan," to name a few. Some of White's feature credits include "The Proposal," "Lake Placid" and "Bringing Down the House." Earlier this year, the Screen Actor's Guild honored her with the SAG Life Achievement Award. White was also recently awarded the Charlie Chaplain Britannia Award for Excellence in Comedy from BAFTA (British Academy of Film and Television Arts). She will also be inducted into the California Hall of Fame. White is the author of six books, two of which she's currently writing. 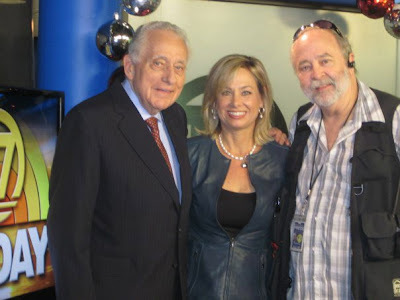 Jennifer Love Hewitt and Brent Shields ("When Love Is Not Enough: The Lois Wilson Story," "The Courageous Heart of Irena Sendler") serve as executive producers of "The Lost Valentine;" Barbara Gangi ("I Think I'm Alone Now") is producer. 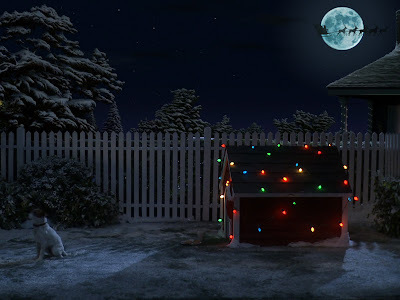 It is produced by Andrew Gottlieb ("A Dog Named Christmas," "Front of the Class") and is from Hallmark Hall of Fame Productions, Inc. and Paulist Productions. Kenneth Atchity and Chi-Li Wong (Hysteria, The Kennedy Detail, Life Or Something Like It) co- producers for AEI. Darnell Martin ("Law & Order: Criminal Intent," "Her Eyes Were Watching God") directing. It is based on the book by James Michael Pratt. Write Your Book Already! If you want to be considered an expert in your field; if you want to establish credibility with your community and colleagues; if you want to compete in today’s competitive marketplace, you will need a book. But if you’re not a writer, and you don’t have lots of time, this is no easy task. So how do you do it? We are so lucky to have Dr. Kenneth Atchity share with us how important it is to write a book and how to finally actually get to the business of doing it. So, please join me and Ken as we talk about the business of getting your book written! * Why you MUST write a book. * What’s standing in the way of you writing your book? * What if you’re NOT a Writer? * Do you need an agent? Dr. Kenneth Atchity – Dr. Ken Atchity, former professor of comparative literature at Occidental College, Yale Ph.D., turned to the commercial world of storytelling over 20 years ago and has since assisted in publishing hundreds of books, including current New York Times bestseller THE KENNEDY DETAIL (also a Discovery Special that aired November 22), and dozens of movies (he personally has produced 30 films, including currently “Lost Valentine” with Betty White and “Hysteria” with Maggie Gyllenhaal and Hugh Dancy. 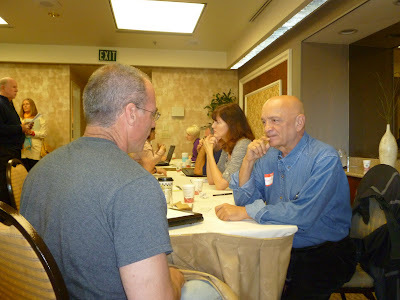 His favorite thing is helping writers achieve their dreams and what’s extraordinary about Ken is that even during a volatile economy, he’s found a way of turning that passion into a viable business model through his company, Story Merchant (www.storymerchant.com). Check Out Rudy Yuly's New Book Sparkle Out from Hill Brace Publishers! "Atchity Entertainment International (AEI) is proud to introduce you to Rudy Yuly, with his debut thriller Sparkle, simply one of the best books we've ever come across. It's reminiscent of Rain Man as well as of Of Mice and Men. Eccentric, lonely brothers Eddie and Joe Jones's fragile world is built around Sparkle Cleaners, their Seattle janitorial service with a single purpose: crime scene cleanups. Joe despises the grisly jobs, but sticks it out for the sake of his damaged, nonverbal brother Eddie, who finds his only small measure of peace in his uncanny ability to clean up blood. Not even Joe knows that in Eddie's inner world, he's not just wiping away gore. His real, hidden gift is sensing and freeing the trapped souls of victims of violence. When murder strikes much too close to home, the brothers' house-of-cards world explodes, uncovering dark secrets and spiraling into territory where failure threatens death—and success promises a better life than either dared imagine. Sparkle is a mesmerizing page turner--funny, heart warming, insightful, with an impressive array of original characters for us to love. It's one of those books you don't want to end!" Represented by Atchity Entertainment International: www.aeionline.com. To contact the author, visit www.rudyyuly.com. 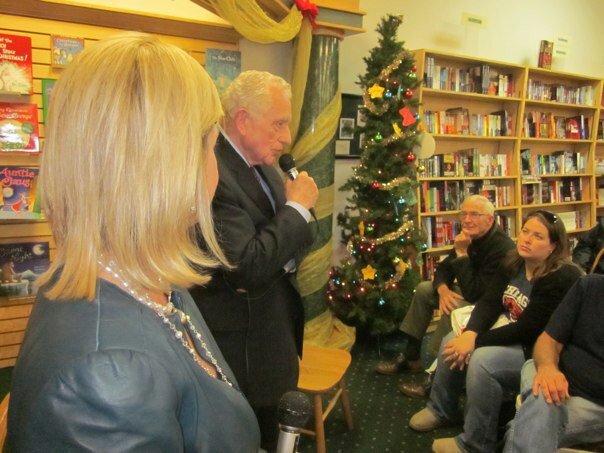 BAKERSFIELD, Calif. -- Sitting in a Bakersfield book store, former Secret Service agent Clint Hill said, "It's a date I will never forget." Hill was assigned to protect President John F. Kennedy in Dallas on Nov. 22, 1963. As the presidential motorcade made its way through downtown Dallas, shots rang out. Hill was in that motorcade and immediately ran forward and jumped on the back of the president's car. But he got there too late, he said, as one of those shots hit the president in the head, killing him. "I had a chance to intervene, but I was too late to do so," said the now-78-year-old Hill. "I feel a sense of responsibility in that regard and a sense of guilt." Hill was in Bakersfield on Tuesday night as part of a promotional tour of the book "The Kennedy Detail" by Gerald Blaine and co-author Lisa McCubbin. It tells the story of the Kennedy assassination from the perspective of the Secret Service agents who were there the day it happened. Join The Thrillionaire's 2 Day Celebration of Life, Dec. 9, 10! http://www.thethrillionaires.com/blog/celebration-of-life/ <<<> Check it out! http://www.thethrillionaires.com/blog/celebration-of-life/ <<<> Act now ! And THAT’S NOT ALL!!! The very next morning, we will begin a “Celebration of Life” event, with wealth strategists, authors, famous coaches and publishers—a full day of personal growth, financial education and incredible coaching. As a matter of fact, I’ll be speaking LIVE at the event! You just have to be there!!! Don’t wait…spots will be gone soon...and I really want YOU TO JOIN ME! Can’t wait to see you in Hollywood! P.S. A portion of the ticket sales will go to the Generation Why Foundation—a non-profit organization that helps homeless children—a great cause—please get your ticket and support them. New York Times Bestseller The Kennedy Detail Book Signing: AEI Clients Lisa McCubbin and Clint Hill At Russo's Books Tonight At 5:30 pm! Where: Russo's Books, 9000 Ming Ave.
Lisa McCubbin, a journalist and author who got her start in Bakersfield, will be at Russo's Books Tuesday evening signing copies of her new book, "The Kennedy Detail." Nov. 22, 1963 -- a monumentally tragic day in United States history, a deeply traumatic one for John F. Kennedy's Secret Service agents and the core of a new book by a former Bakersfield newswoman who was born just weeks later. "It really was a great history lesson for me," said "The Kennedy Detail" co-author Lisa McCubbin, who will sign copies of the book Tuesday evening at Russo's Books. "It's a rare window into history. Hearing first-hand accounts from Secret Service agents who were so close to the Kennedy family, I felt like I got to know the Kennedy family as well." McCubbin, the former host of a KERN radio call-in talk show who also worked as a local television news reporter in the late 1990s, joined longtime family friend Gerald Blaine in documenting the impact that Kennedy's assassination had on his Secret Service agents. Blaine was one of those agents. "I was always fascinated by his years in the Secret Service, but I had never talked to him about it," McCubbin said. Clint Hill, another former agent who witnessed the fateful events in Dallas, wrote the book's foreword. He will also be present at the book signing. The project, McCubbin said, has facilitated a healing process for some of the agents who had kept quiet for more than four decades. "These gentlemen are now in their late 70s," she said. "Unless they told their story now, the truth would be lost forever." McCubbin has enjoyed meeting many current Secret Service agents as she travels the country in support of "The Kennedy Detail." But McCubbin, who participated in a book club during her time in Kern County, said she's especially excited to visit the Ming Avenue store as part of her current tour. "I had to add Bakersfield to the (list of) stops," McCubbin said. "I still have wonderful friends in Bakersfield who I've stayed in touch with. 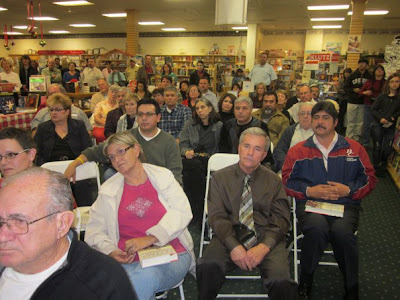 "But never in a million years did I think that I'd be coming back to Bakersfield as an author." Between holiday parties, diinners with friends, and a trip to Lambeau Sunday, I was able to squeeze out two hours to watch Discovery Channel's "The Kennedy Detail" over the weekend. I knew that the Secret Service agents who guarded President Kennedy and watched him die that day in Dallas were weighing in for the first time on what it was like to serve in the White House, share time with the First Family and, see their boss get murdered on their watch. I knew they'd say that Lee Harvey Oswald acted alone. I'd already read about the agent who almost took out Lyndon Johnson some 13 hours later while the newly sworn-in President was taking an early morning stroll around his DC area home. What I didn't expect, though, was to see these guys in such obvious pain, tears still coming to their eyes not just when they talked about the assassination but also about other painful moments including the death of the Kennedy's newborn son, Patrick, just months before the President's murder. Even if you're not an assassination freak, "The Kennedy Detail" is a fascinating look back at what it was like being near the center of power during the Cold War and tje Cuban Missile Crisis. Agent Clint Hill's exchanges with Jacqueline Kennedy are incredible and to my knowledge had never been revealed anywhere. It was Hill that would climb onto the back of the President's car as the final shot rang out, a bullet that killed Kennedy and changed history. Hill's description of the futile ride to the hospital is riviting, graphic and incredibly sad. So is his tale about his life after the assassination, one that saw him almost drink himself to death as he wrapped himself in guilt and self-indugence. It's also sad to hear these men--witnesses to history--talk about their annual reunions and the realization that each one could be their last together as age and illness take their inevtiable toll. Kennedy's death was a subject they didn't bring up in previous meetings, and it was only recently that some of them returned to the scene of the crime to make peace with what happened. 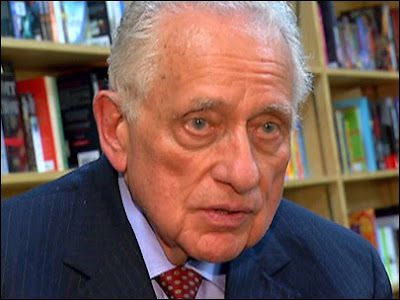 They say they wrote their book and did the documentary in part to set the record straight, to put an end to what they call the conspiracy industry--those who take issue with the Warren Commission's finding that Oswald acted alone. Each agent says the shots came from one spot--Oswald's perch--and that he acted alone. They also dismiss as ridiculous some of the more outlandish theories that incriminate some of the agents themselves. Such claims are, indeed, outlandish. Not only do they give the real killer a pass, they blame innocent men who still feel the obvious pain and hurt that comes with reaizing that, for six terrible seconds, they weren't able to do their job. It's not great holilday viewing, and it won't lift your mood, but "The Kennedy Detail" is something all should see, if nothing else to find out more about a fascinating job done by otherwise silent men at one of the more dramatic times in our country's history. New York Times Bestseller The Kennedy Detail Book Signing At Book Soup, Monday, December 6! Meet former Kennedy-era Secret Service agents, New York Times Bestselling Authors Gerald Blaine and Clint Hill, along with Journalist Lisa McCubbin, at Book Soup on Monday, December 6th at 7:00pm to discuss and sign Mr. Blaine's new book, The Kennedy Detail: JFK's Secret Service Agents Break Their Silence. A book fifty years in coming, The Kennedy Detail is a portrait of incredible camaraderie and incredible heartbreak - a true, must-read story of heroism in its most complex and human form. Premiering on Discovery Channel December 2nd-4th.